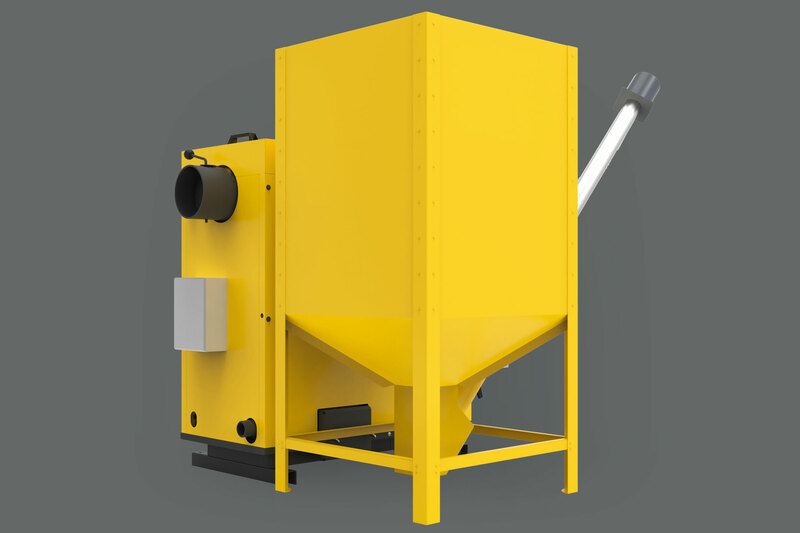 KSP Pelet boiler has been designed with a view to heating, which is environmentally friendly. It has the highest 5th class of emission (applies to model 20 kW) acc. to the PN EN 303-5:2012 standard and the ECODESIGN certificate. Various types of pellets (made of wood, straw, shells, seeds of e.g. sunflower) are dedicated fuel to the KSP Pelet. Granules of the wood pellet are almost completely burnt, leaving small amounts of ash, which can be used as a good-quality fertiliser. 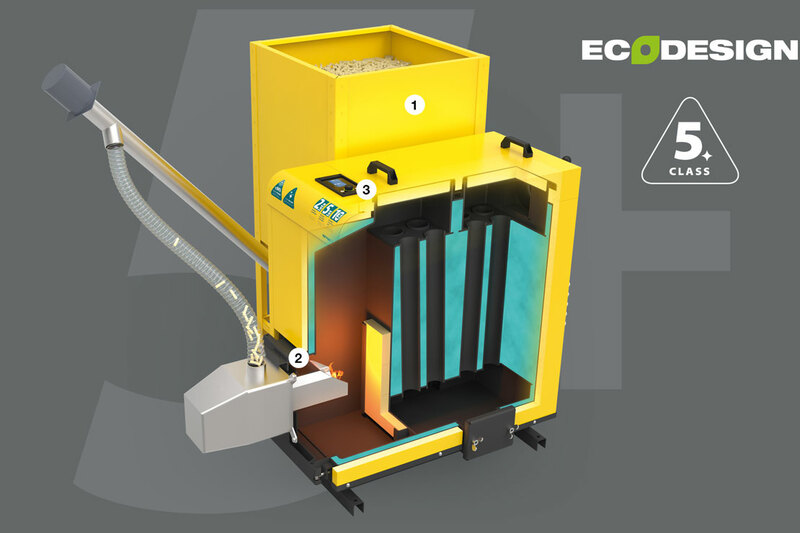 High heating value of the pellet together with an automatic ignition function, smooth adjustment of power and low energy consumption additionally influences the economical operation of the boiler. KSP Pelet is an innovative achievement in the range of solid fuel fired boilers with respect to the efficiency, automation of servicing and care for the natural environment. 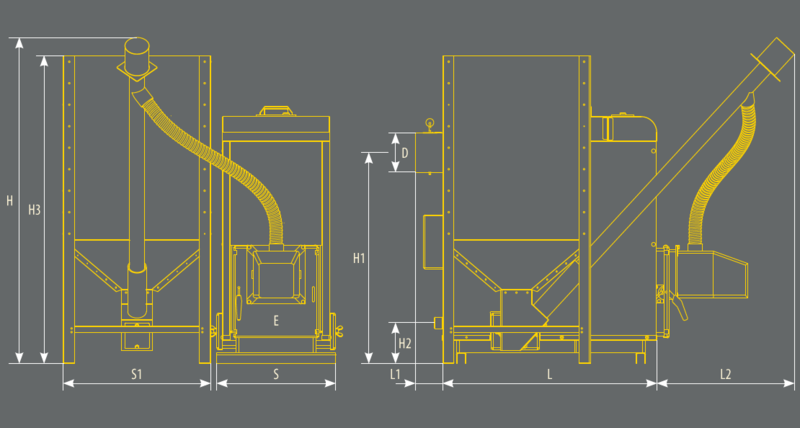 The ergonomic design of the equipment allows flexible adaptation of power to the size of the heated area and therefore it eliminates a common problem of overdimensioning leading to power losses. The high efficiency of the device (94%) and minimized necessity of cleaning was achieved due to a new design of the heat exchanger. The boiler is extremely functional due to its small sizes, option to set charging hopper  in any place in the boiler room and installation of doors  on the right or left side. Operation of the device is controlled by a modern control system PELLAS  with smooth control FUZZY LOGIC, which services three pumps (central heating, domestic hot water and floor), drive of the mixing valve and temperature limited (STB). Furthermore, it is responsible for the start-up of the boiler, control of power level and cleaning. 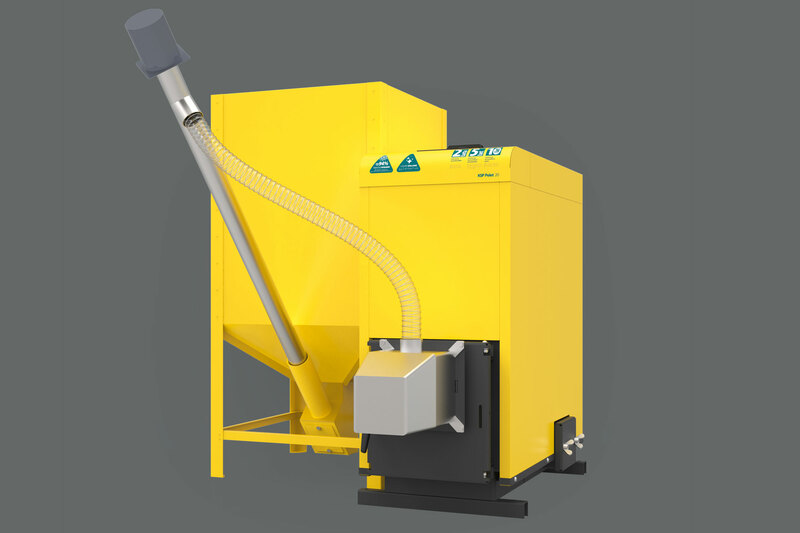 Automatic igniter allows automatic firing up at any time indicated by the user. In case of power shortage the boiler is able to continue operation after its recovery because all settings are saved in the system memory. An extended time of service-free operation of the boiler is reached due to use of special fuel mixing process in the furnace chamber. Innovative overpressure combustion method protecting against flashback and continuous monitoring of temperature ensures improved operational safety. 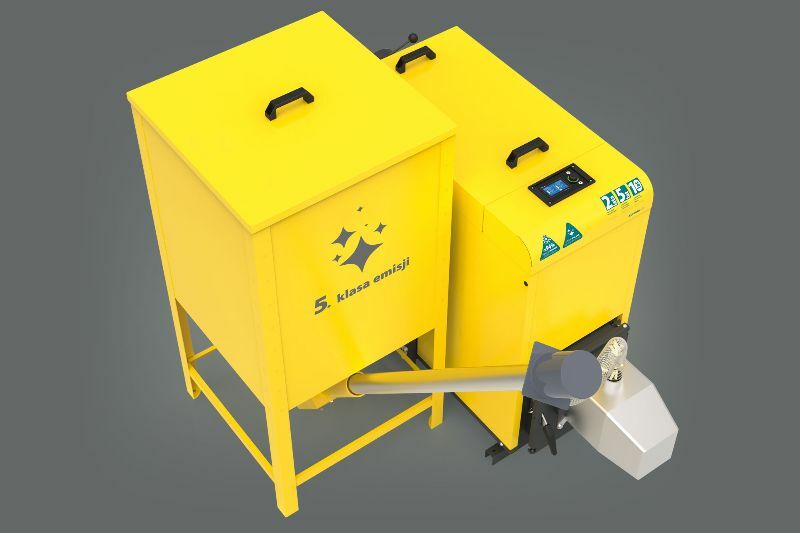 Wood pellet is a compressed biomass formed from the wood waste. It is produced in form of granules having the length of several centimetres. It has high calorific value and low moisture content. It does not leave dirt, has a pleasant smell, is easy to transport and store. The most effective use of the fuel from all equipment of its class that are available on the market.